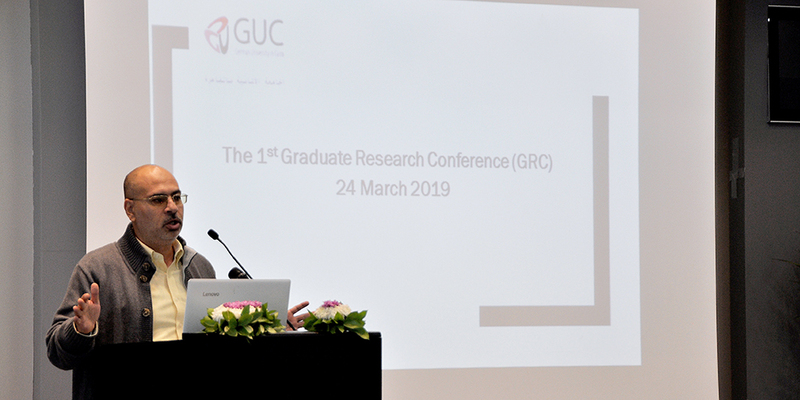 The Faculty of Management Technology is pleased to announce the 1st Graduate Research Conference (GRC) on 24-25 March 2019. 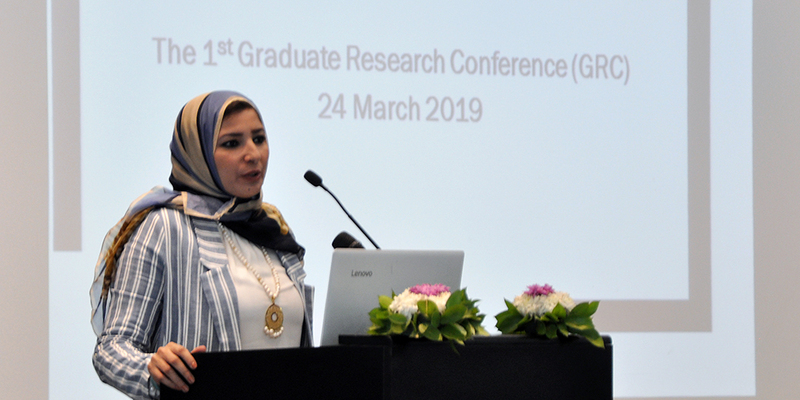 It brings together Masters, Ph.D. and MBA students to highlight their research progress and share their experience, which motivates excellence in graduate research. The conference is organized by Dr. Heba Ali (Assistant Professor in Finance), and includes 38 participating students in different specializations, presenting their research works to the faculty members. 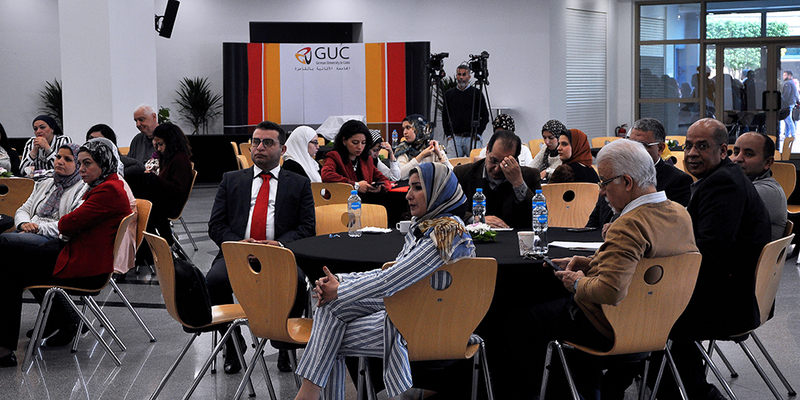 According to their research fields, the participants are categorized into 3 parallel sessions covering 6 different tracks. 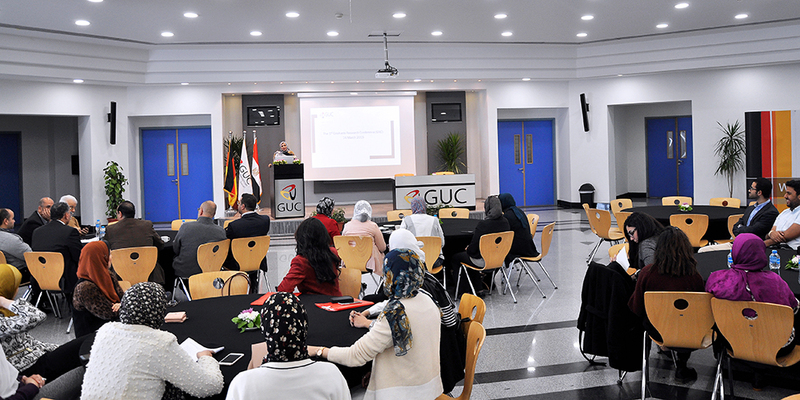 During these sessions, the constructive feedback received by the participants should enhance their learning and professional development. 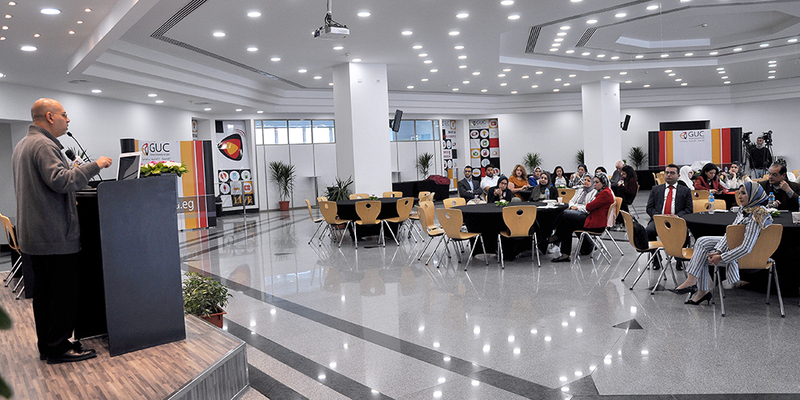 promotes the acquisition of skills and drives professional growth and development. All the participants will be awarded a certificate of participation.